In Dada, the Croatian writer Olja Savičević has created a compelling witness who is also a survivor, not particularly heroic, but likeable and sympathetic. Dada is a candid young woman with few delusions about her place in the world. She belongs to a lost generation and she knows it. Geographical distance and time have given her the courage to face her past. In Dada, the Croatian writer Olja Savičević has created a compelling witness who is also a survivor, not particularly heroic, but likeable and sympathetic. As the novel opens, Dada is on her way back home to a small coastal town in Croatia where, for her, only her mother and sister are left. The war may be over, yet the smell lingers as do the memories, the debris still visible as is the graffiti. “Looking back, I can see clearly that everything had changed faster and more fundamentally than I had. I must have spent the last few years standing still on a conveyor belt, while everything else was rushing and growing. I rarely came home, caught off-guard every time I went to the centre, to the west of the town, where my sister lives, into the scintillating showroom, that garish shop-window of a broken and robbed world. Going into town is a digital adventure in which I’m met round familiar corners by ever newer and more unrestrained silicon hordes. The adrenalin scattered through the air is an aerosol that fills and pierces my lungs.”Dada is a candid young woman with few delusions about her place in the world. She belongs to a lost generation and she knows it. Geographical distance and time have given her the courage to face her past. In Dada, the Croatian writer Olja Savičević has created a compelling witness who is also a survivor, not particularly heroic, but likeable and sympathetic. A few pages earlier Savičević has already introduced Western movies, one of the defining motifs of this wonderful novel, and in truth she is something of a lone gunslinger herself. She has ridden into town, well, not quite, she has acquired a Zippo, a little scooter and she needs to discover the truth behind a family tragedy. So her father liked cowboys. Once upon a time in the old Yugoslavia, where so many Westerns were cheaply filmed, everyone else preferred the Indians: “It was only much later that cowboys came into their own. But my father loved the proper cowboys: John Ford, Zinnemann, he used to say. He adored the Italian westerns of Leone and Sergio Corbucci . . .” Her father also had a self-important white cockatoo that was savaged, after his death, by the family cat. In the long opening sequence, ‘Eastern’, the emphasis is very much on contemporary Croatia and the changes Dada notices all around her when not thinking of her childhood or recalling the brother she thought she knew and of the times he almost seemed to die, before he actually did take his life. The second section, ‘Western’, is interestingly ambivalent. On one level it is a clever parody of the Western genre. Yet it also pursues an even more poignant tragedy, that of an initially comic young woman who had failed to find any safe haven. Maria Carija is abused by her family and ridiculed by everyone else. Her desperate attempts to belong bring her ever closer to disaster. Ultimately she is involved in a parody of a Wild West shootout. Savičević’s prose, which is always relaxed and descriptive, and sustained with conversational ease, becomes increasingly beautiful in moments of high drama. 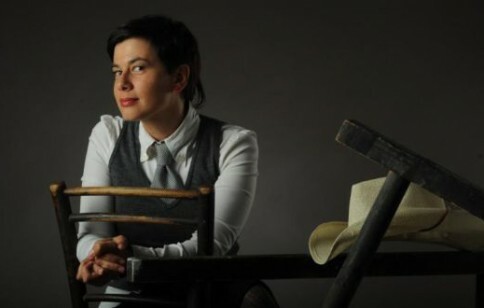 The distinguished translator Celia Hawkesworth continues to serve Balkan literature brilliantly and she conveys the mood of the moment in Farewell, Cowboy, as well as she did in Vladimir Arsenijevic’s much earlier despatch, In the Hold (1994), which appeared in English two years later. Dada, having completed her mission, takes her leave not only of her home town, but of her younger, naive self. A dramatic version of this novel is about to be staged, and it should also be filmed. The humour and sheer anarchy of the action combined with the comic exasperation, unforgettable characters and Dada’s wry acceptance of the way life happens to be, make this subversively appealing novel all the more profound; even, unexpectedly, beautiful. Eileen Battersby is an Irish Times staff journalist and literary correspondent. She has written about all aspects of the arts, particularly classical music and literature, as well as archaeology, historical geography and architectural history and has championed fiction in translation. Four times winner of the Arts Journalist of the Year award, she has most recently won the Critic of the Year and has published two books; Second Readings and Ordinary Dogs.